Osaki brand of massage chairs earn a reputation in the world of massage chairs, but not all the Osaki chairs are good products. I say that because I’ve tried and tested most of massage chairs from this brand. Also, I consulted with chiropractors and physical therapists about the best therapies on how to soothe aching muscles and heal chronic pain. I had my team to test and review some of the best chairs on the market. While not all Osaki chairs are great in quality or function, many of them are worth the price tag. I’ll review some of my TOP 3 choices below & I’ll include some alternatives models as well. Osaki is a leading name in the massage industry. They have years of experience in manufacturing various massagers and gadgets, including fitness equipment, handheld massagers or foot massagers. 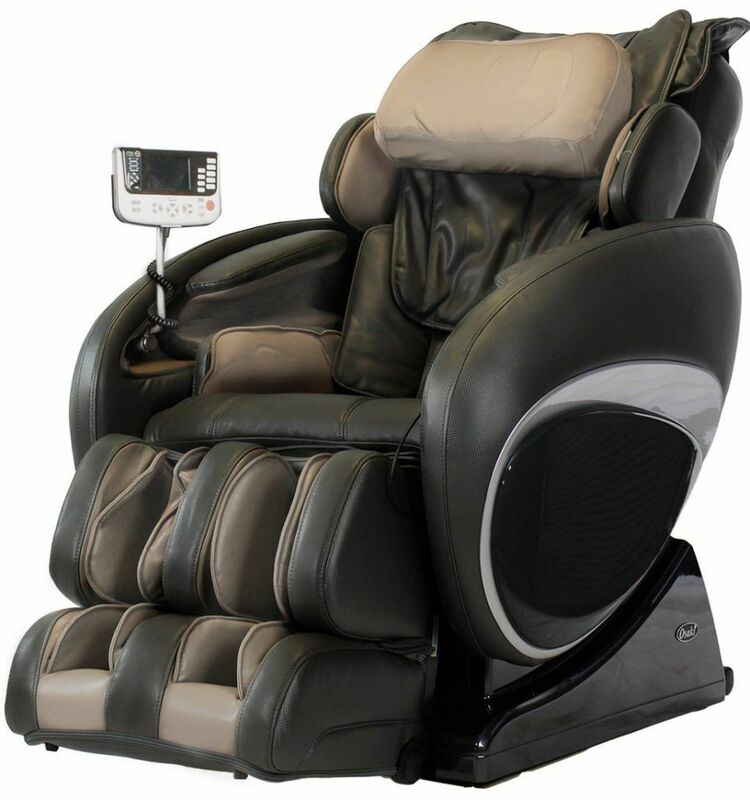 Paired with Titan Massage Chair Brand, the Osaki Brand now uses top technology to manufacture its massagers. But with made-in-China pieces, Osaki massagers are affordable too. The Osaki-Titan brand comes with the promise of high quality at low prices. The Pro Maestro offers a deep-tissue spinal massage and an excellent calf massage, featuring plenty of easy-to-make adjustments. I think that the Pro Maestro is the best in its line, but I’m not the only one. There are plenty of happy customers who bought this model, ranking it the top-selling model from Osaki. This flagship model is easy to use and feature-packed, which explains why people love it. The 4D roller mechanism might be a marketing ploy for some brands, but it’s more than that with the Pro Maestro. The rollers move forward and backward into your back, for a deep tissue massage. The rollers follow an L-track which can touch all the pressure points on your spine, plus it extends down to your glutes. But my favorite thing was that I could easily adjust both the speed and the rhythm, choosing from eight intensity levels. The rollers are also heated, which increases the massage efficiency and boosts the therapeutic benefits you’ll reap. Heat soothes sore muscles, while the deep-tissue massage relieves pain almost instantly. However, I would have liked to see some real heat therapy, where the heat is hot, not just lukewarm because that has more healing benefits on your circulation and pain relief. The Pro Maestro delivers a decent airbag therapy for the whole body, courtesy of 30 included air cells. This compression massage will relax you and improve your blood circulation. You also have one level zero-gravity, which decompresses spinal disc and relieves spinal pain. With just one zero-G position, this chair is better for relieving spinal pain from a bad posture, rather than chronic pain. The Pro Maestro is a user-friendly chair too. It has a space-saving design, so you need 5 inches from the wall to recline it. The Bluetooth system is paired with HD speakers so that you can listen to your favorite music. There’s a USB charging port, that’s placed inside the chair’s armrest, which is very convenient. Next, to it, the quick-key buttons are easy to operate, so you can adjust your massage settings without needing to use the remote control. Another user-friendly feature is the body scan with an automatic leg scan. The Pro Maestro measures your height and leg length to make sure you’re seated comfortably. There are eight different automatic programs to choose from and four manual massage techniques. Three of these techniques are the essential kneading, tapping and knocking, but there’s one advanced Shiatsu. At first glance, you would say the options are limited. But you can choose the specific massage technique you want for each program, plus there are four subprograms for different body parts, not to mention the eight intensity adjustments. You can also choose the length of your massage sessions – either 10, 20 or 30 minutes. My favorite massage though is the calf and foot massage. There are two mechanical rollers for each foot that soothe sore muscles with a deep massage. Add the airbag calf kneading to improve blood circulation, and you can reap the benefits of a therapeutic calf massage. While this chair is an excellent choice, the Luraco i7 Plus might be a better choice. Made in the USA and listed with the CE, UL, and FDA, the i7 Plus has all the bells and whistles of a medical chair. Although it features just two manual techniques, it has therapeutic functions like the Twist and Swivel option for chronic back pain relief. There are also an included heart and blood pressure monitor, full body heat, plus a three-layer foot and calf massage. The voice commands plus five memory slots are additional user-friendly features. The i7 Plus is also better for petite users, as it can accommodate people between 4’7” to 6’7”. The Pro Maestro is a better choice only if you’re looking for a better foot and calf massage. The Pro Summit is perfect for people with lower back pain, especially sciatica pain thanks to its amazing lower back massage options. Another popular model from the Osaki brand, Pro Summit has some worthwhile features. The L-track is 51 inches, meaning it accommodates your spine and extends down to the top of your hamstrings for a complete massage experience. The upper and lower back massage is deep, and it can alleviate moderate pain. The one zero-G level is not something I’m crazy about, though. It should take the pressure off your spine and make the massage feel deeper, but the seat tilts to just 30 degrees. It is a comfortable reclined position, but not what I would call zero-G. However, the lower back heating pads save the day. Heat therapy alleviates chronic lower back pain and is a big help against sciatica. The airbag massage with 30 air cells is decent enough for the waist and hips to help with chronic back pain – this rotation movement is called the low back and hip twist. My favorite, though, was the arm and hands compression massage, after a long day working on my computer. The two rows of mechanical foot rollers stimulate reflexology points, delivering a relaxing foot massage. 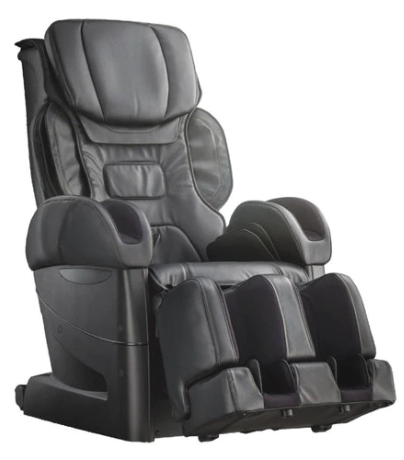 If you want to buy a massage chair in the mid-price range, you might have already stumbled on the Infinity 8500. 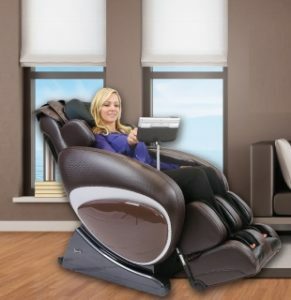 It is a good choice, as the 8500 is a reliable chair, featuring quad rollers, two stages of zero-gravity, spinal correction for poor posture, waist twist, reflexology foot rollers, spot massage, USB sound system, plus a variety of programs and techniques. However, I think the Pro Summit is a better choice for chronic back pain. The Infinity 8500 is a smaller chair, so Pro Summit is better for bigger people. Besides, the IT 8500 features an S-track with quad rollers, which are less sophisticated than the L-track and 3D rollers provided by Pro Summit. 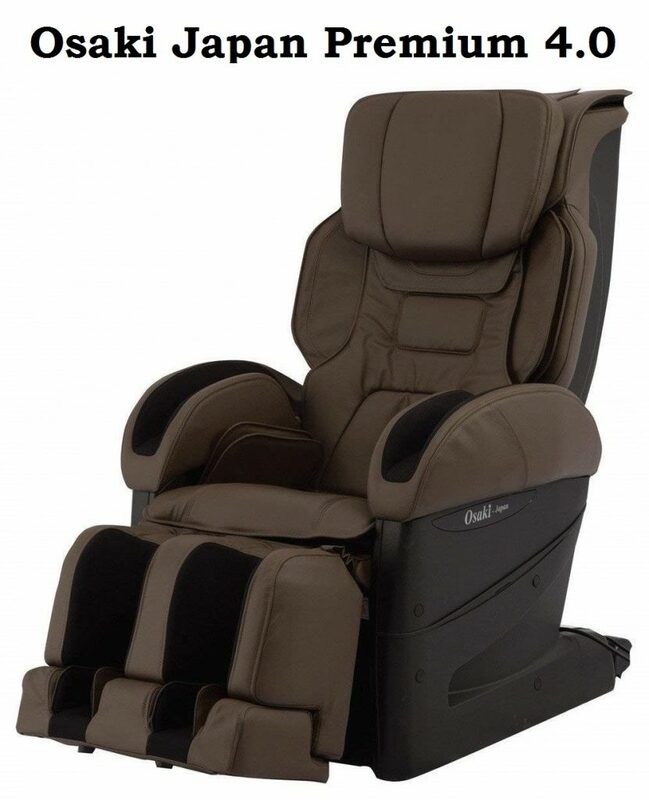 Pro Maxim is a basic massage chair that delivers an effective, pain-relieving massage. The Pro Maxim has all the features you need to enjoy an effective massage. The hybrid L/S track is outstanding for the price. This track combines an S-track that follows the natural spine curvature with an L-track that extends down to your glutes. The body scanning technology is another plus, as the chair identifies your pressure points to adjust the rollers. I liked the touch screen controller too because it’s large and has an intuitive design. With this console, you can adjust the roller position and change your massage settings. I loved the speed and intensity adjustments and how easy it was to make my choices, even without studying the user manual. For such an affordable price, it’s surprising how many options you have: 12 auto massage programs, including Deep Tissue, Spleen Digest and Stretching. There are six manual massage techniques too, including the advanced Shiatsu and Swedish you can adjust on five intensity levels. As you can see, the Pro Maxim offers more options than the other two, more expensive, Osaki chairs. 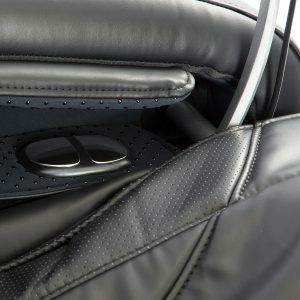 The airbag massage is decent, with 36 air cells that envelop your whole body. However, more expensive massage chairs offer a better compression massage. I also appreciated the two lumbar heating pads that heat up for a therapeutic lower back massage – they took the pain away in no time. The foot massage feels nice too. You can combine the airbag massage with foot rollers to stop your soles from aching. The auto leg scan feature ensures the foot massage feels comfortable whether your 5’ or 6’4” tall. The seat vibration is another option I liked, as it’s relaxing and soothing especially for lower-back problems or joint pain. The removable pad is a bonus, as you can enjoy a deeper massage without it or a low-intensity massage with it. Chromotherapy is another cool feature for the price, as the soft blue lights are very relaxing. The built-in Bluetooth speakers can improve the massage experience too, and they’re another wow addition for the price. Just like the other two expensive Osaki models, Pro Maxim has one zero-G seating. Lifting your knees a bit above your heart level, the back massage will feel deeper, and your spinal pressure will be relieved. 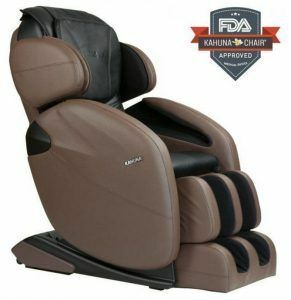 Pro Maxim is a value for money, user-friendly massage chair. The only cons I could think of come with a price increase. However, Kahuna LM6800 chair might be a better choice. Though it’s in the same price range, it features three zero-G positions as well as calf heat, plus other therapeutic functions like the vigorous Yoga Stretch. Pro Ekon is an excellent massage chair for runner’s knee and diabetes pain. In the expensive price range, Pro Ekon has a few unique features which explain the price increase. For instance, the carbon fiber lumbar heat is strong and therapeutic, so your pain is relieved almost immediately. The 40 airbags offer an exceptional air compression massage, but the knee is rubbing feature is what stands out – it’s fantastic to treat joint pain or runner’s knee. The stretch program feels quite vigorous too, and it’s incredible on a sore back. I also enjoyed the calf massage courtesy of dual mechanical rollers and airbags. The kneading motion was very deep tissue, and I could feel my blood pumping. It provides a good massage if you have diabetes. 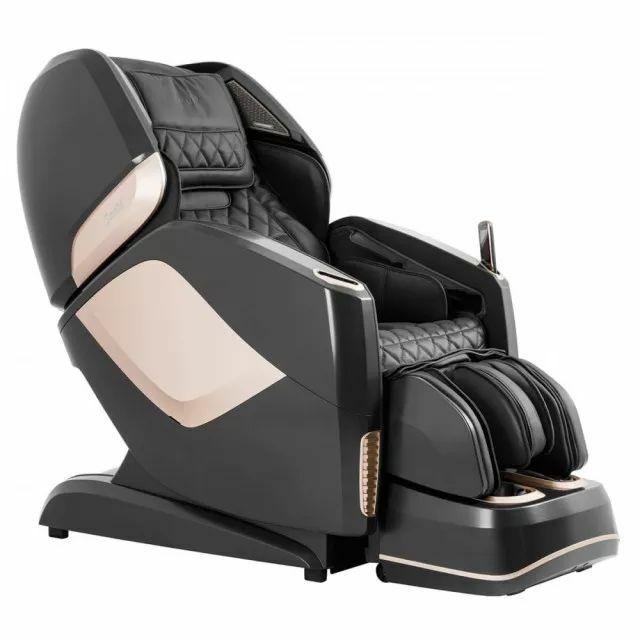 Otherwise, Pro Ekon has some standard features for most Osaki chairs, like a 3D roller mechanism, L-shaped track, zero-gravity, space-saving design and up to 30-minutes massage sessions. 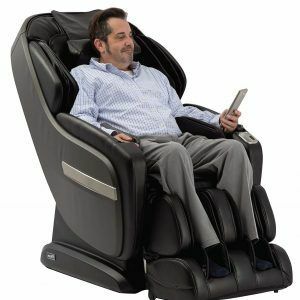 This quality chair includes a relaxing chromotherapy option, Bluetooth connection and HD speakers, auto-leg scan, six auto programs and a USB charging port. Pro Alpina is a good choice if you want to relax and improve your blood circulation. The Alpina sports a hybrid track which combines the ergonomic S design with the prolonged L design, so the rollers can massage under your buttocks. However, the rollers are 2D, so they won’t travel from the track to massage deep into your spine. 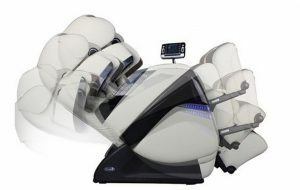 This unit boasts a body scan, 12 auto massage programs, six massage techniques, including the advanced Shiatsu and Swedish. There’s just one zero-gravity position, but this chair features a heart-rate sensor for medical purposes. 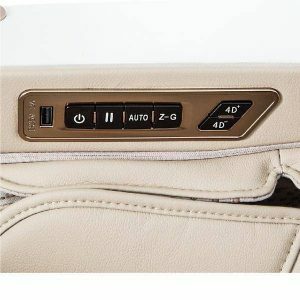 The touch screen controller is easy to use, while the Bluetooth connection allows you to play your favorite music. The ache sensor is its best feature, as it registers your body tension. Otherwise, the 22 Next Gen airbags deliver a decent air massage, improving your blood circulation. The reflexology rollers that scrape your soles feel very pampering, but they’re also responsible for improved blood flow. Osaki Japan Premium 4.0 is the perfect choice for people with chronic upper back and shoulder pain. 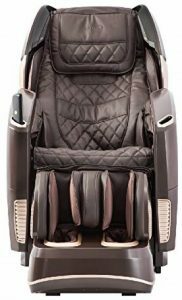 The Japan Premium 4.0 massage chair has some worthwhile features. I loved the high number of adjustments and the options I could choose. I enjoyed customized massages with 12 auto massage programs, 16 massage techniques and nine levels of intensity adjustments, though the industry average is three. With 36 airbags, I could enjoy a good air compression massage that relaxed me and felt very lifelike. However, I missed the zero gravity seating. I also felt that the 15-minute max massage sessions were a bit short. However, shoulder heat function is useful. Few massage chairs offer shoulder heat, which is fantastic for chronic upper back pain. 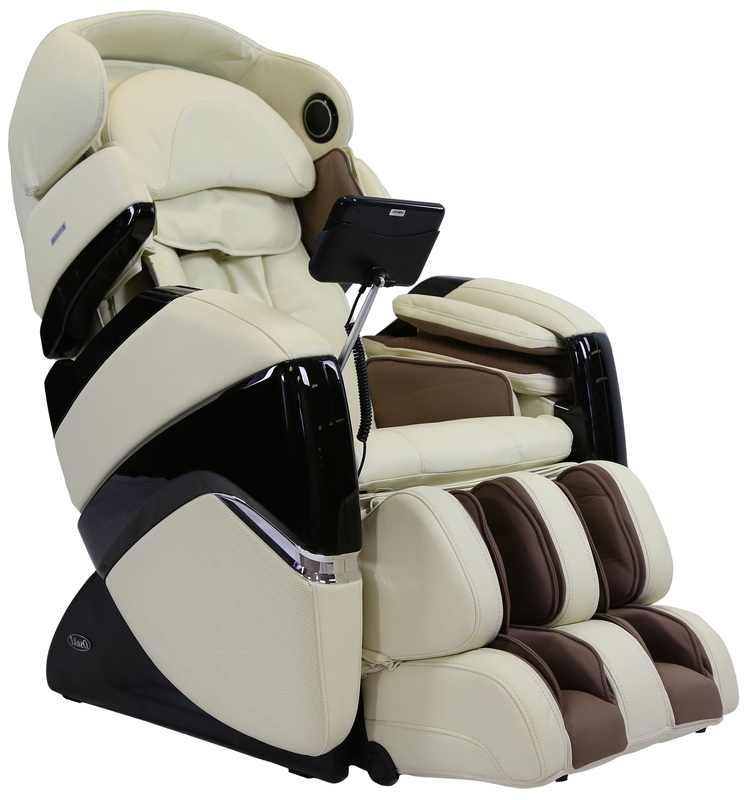 The Osaki OS-4D Pro JP is an excellent chair for therapeutic back massages. The Osaki OS-4D Pro JP comes with a proprietary 4D KiwamiMecha massage ball system and 40 rollers for a deep tissue massage. The S-track is a bit short though, even though it follows the natural spine curvature. Along with body scan technology to identify pressure points, this model is highly customizable. You can choose between seven to twelve intensity settings, 28 kneading techniques, and five basic programs, while the massages last anywhere between 5 to 30 minutes. You also get one zero-gravity position, 44 airbags for a comprehensive full body air massage, lumbar heat therapy and a thorough foot massage with both rollers and airbags. 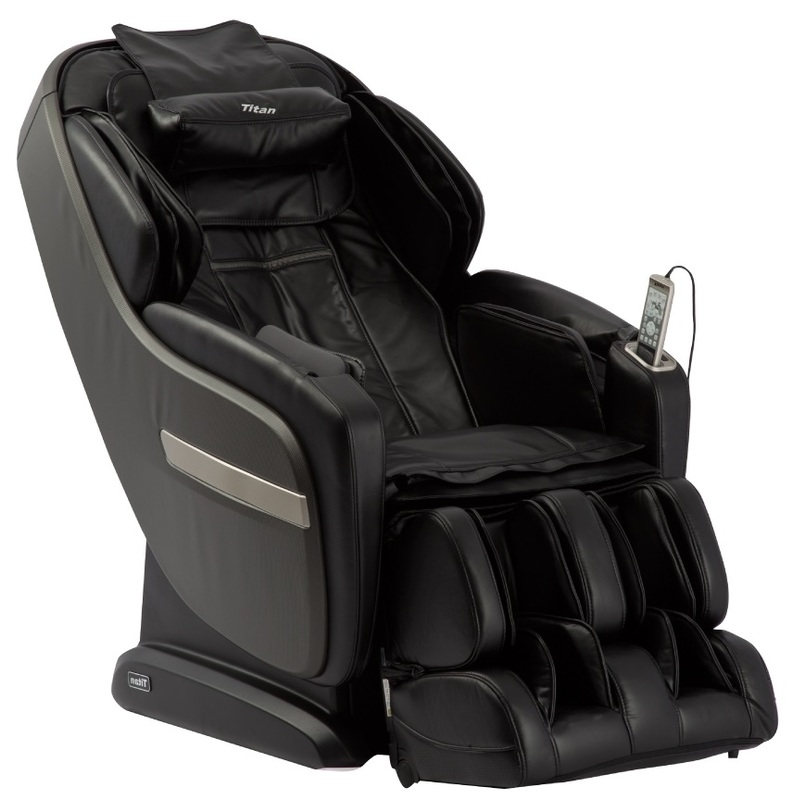 The Osaki JP Premium 4S Japan is perfect for people who want a wide array of massage options. The JP 4S is a bit different than the JP 4D. For instance, it has no Mecha balls, but you can still adjust the 4D rollers. Besides, it still has plenty of rollers, 32 to be exact, and 34 airbags for a decent air massage. However, the JP 4S comes with some unique features, like the feet heat therapy which includes your soles. It is perfect after a day of hiking! With 16 built-in programs and 41 massage techniques, I loved how easy it is to customize my massage experience. The touch screen is intuitive and full-color, so it’s easy to choose the right massage session. 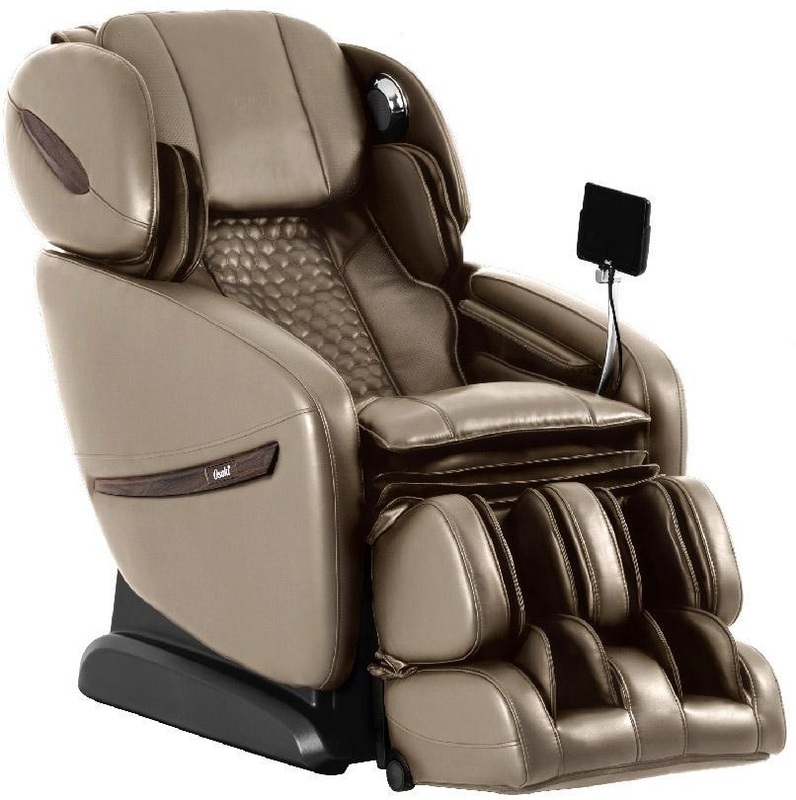 The Osaki TP-8500 is a basic, value-for-money massage chair for relaxation and moderate pain relief. 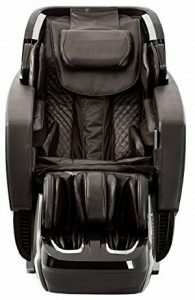 The TP-8500 is a 300-pound massage chair, with an L-track design, advanced body scan, but only five built-in programs. This chair sports zero-gravity for a deep-tissue back massage, lumbar heat, foot rollers, and a space-saving design. 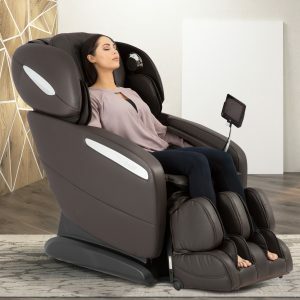 This chair includes three basic massage techniques plus the advanced Shiatsu, NextGen airbags and a 20-minute timer. 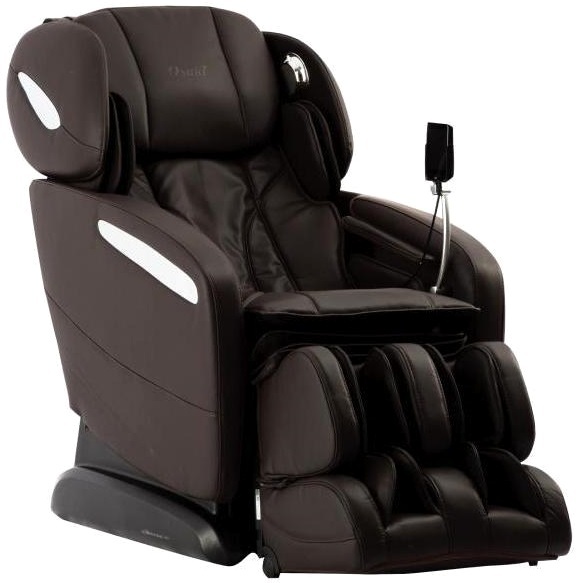 The OS-7200H delivers an excellent upper body massage, so it’s perfect for posture correction. The OS-7200H has some basic features like a computer body scan, zero gravity and quad rollers. However, I appreciated the 51 air cells that offer an excellent air compression massage. The outer shoulder, arm, and hands massage was perfect. Another unique feature is the hip and pelvis massage that can reduce sciatica pain. The auto-leg scan allows even tall people to use this chair, while the chromotherapy is very relaxing. Other user-friendly features include the Mp3 connection, built-in speakers, the multi-layer padding and the removable head cover. 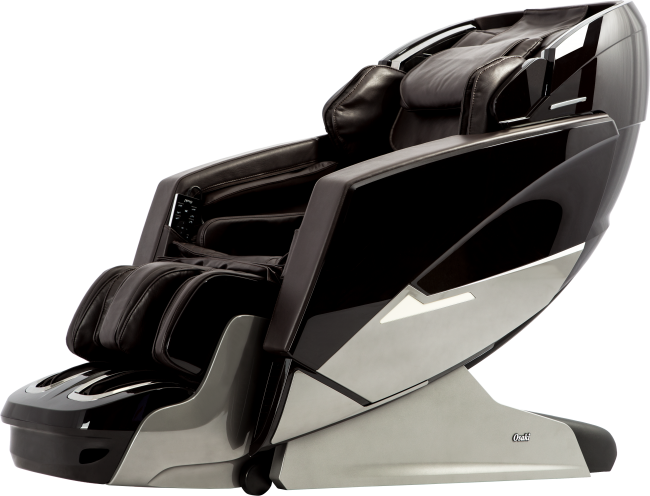 The OS-3D Pro Cyber is therapeutic, relaxing massage chair at an affordable price. Unlike most of the Osaki models above, the Cyber comes with two zero-gravity positions, which have therapeutic benefits on your spine, relieving spinal compression. The twist and squeeze for the hip, lumbar and shoulder areas can correct poor posture and reduce pain. I also liked the auto recline, MP3 player, leg scan and leg extension, as they’re user-friendly features. 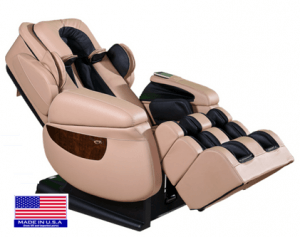 The arm and hands massage relieves arthritis pain, while the feet massage with airbags and dual foot rollers is excellent for diabetes or neuropathy pain. The Acupoint technology is another plus because it can easily find painful knots. 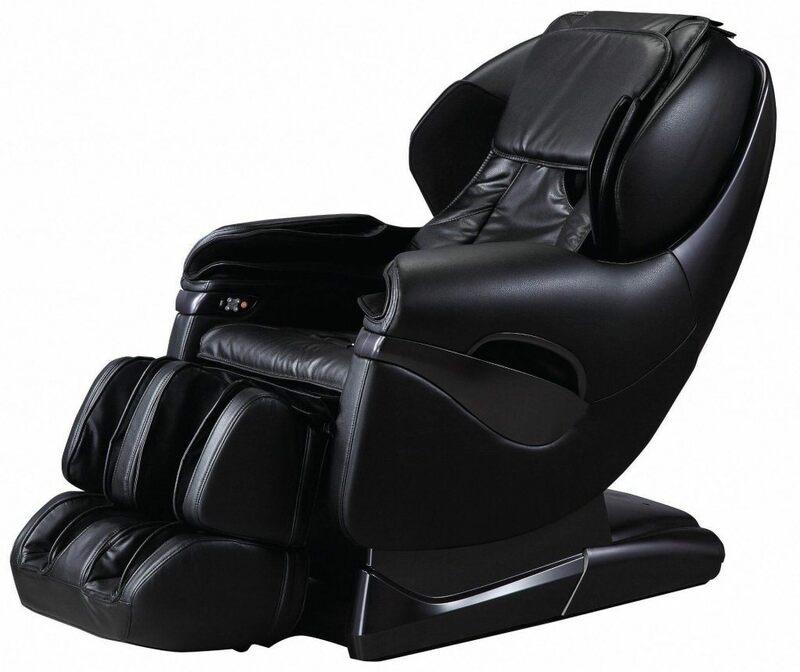 The Osaki OS-4000T can improve blood circulation and reduce lower back or feet pain. The Osaki OS-4000T is a zero-gravity recliner with two zero-G positions to take pressure off your spine and improve your lung capacity by improving blood circulation. The S-track is short, but the rollers are powerful enough to minimize chronic or acute back pain. I also liked the lower back heat, which is perfect for sciatica pain. The air compression massage improves blood circulation too, with 48 airbags and five intensity levels. The reflexology foot rollers are relaxing, but they also improve blood flow. 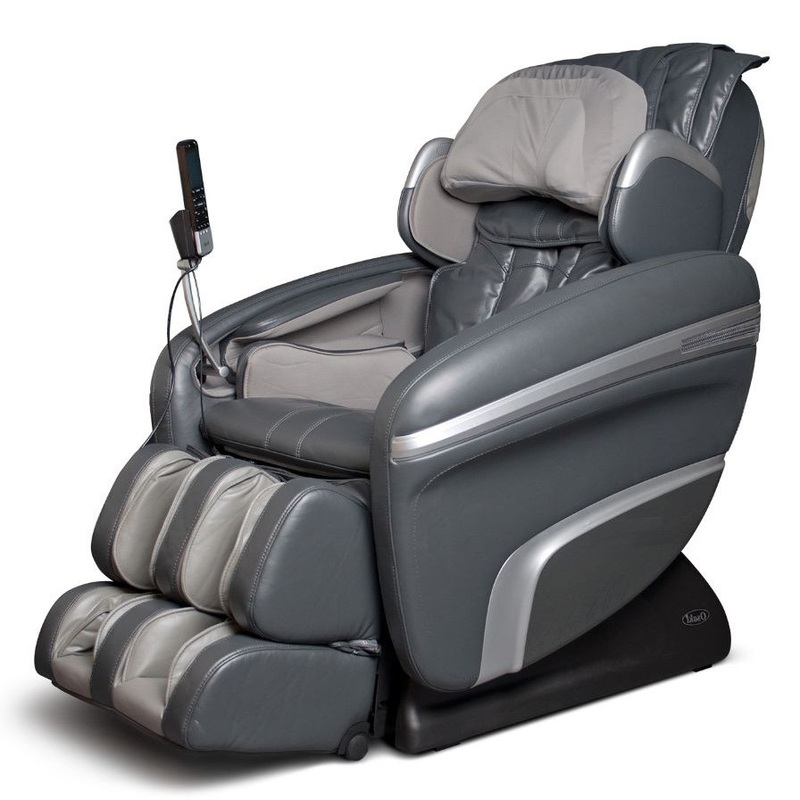 The OS-4000T offers some soothing foot massages, with deep-tissue spinning and kneading motions, reducing any pain. There are just five auto programs and six massage techniques, including the advanced Shiatsu and Swedish, but you can combine these options. 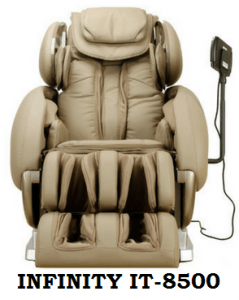 I’ve taken you through a variety of Osaki massage chair models, but there are three top models I love. Pro Maestro is the best, with 4D heated rollers for a deep-tissue spinal massage, an excellent calf massage and plenty of adjustments. In the middle price range, the Pro Summit is perfect for lower back pain like sciatica, thanks to features like lumbar heat and waist twist. 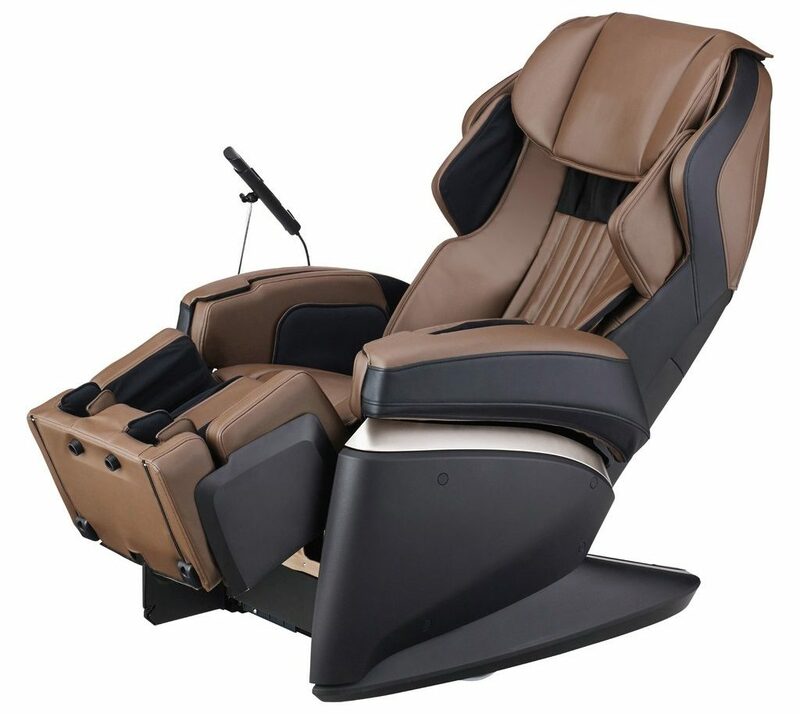 In the low price range, Pro Maxim is a basic massage chair with plenty of massage options, seat vibration, and the relaxing chromotherapy. Luraco i7 Plus is a better alternative because it’s a top medical chair. Made in the USA and listed with the CE, UL and FDA, the Luraco i7 plus features spinal Twist and Swivel, a heart and blood pressure monitor, full-body heat, comprehensive triple foot and calf massage, plus five memory slots.